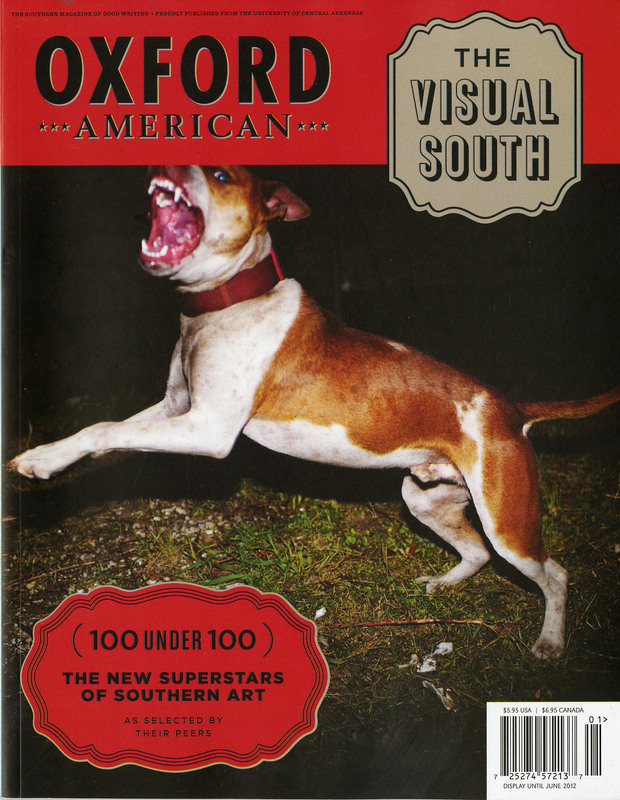 “Is it pure trashiness for The Oxford American’s editor to bash another Southern magazine?” The question is not mine, but that of Marc Smirnoff, editor of The Oxford American magazine who wrote a three-page “critical analysis” of Garden & Gun magazine. It is one of those rare moments in the history of American magazines, let alone Southern magazines, where one editor bashes another editor in public. Since moving to the South in 1984 I was told time and time again that it is not the “southern thing” to do, to air your dirty laundry in public. So with that in mind, I emailed Marc Smirnoff to request an interview with him about the Garden & Gun “critical analysis”, The Oxford American, the future of print and what keeps him up at night. Marc declined to be interviewed on camera, but accepted to do an email interview. What follows are, in typical Mr. Magazine™ Interviews style, the sound-bites first, followed by the unedited email interview. On media-on-media attacks: What the BLEEP, Samir? We in the media shouldn’t act like we are members of a Good Ole Boys Club. On why he wrote the critical analysis of G & G: Hype for a superficial magazine intent on dumbing down (and commodifying) a subject that I love was, finally, more than I could be silent about. On the reasons behind The Oxford American survival: We fill a true void. We aren’t copying anybody; we aren’t redundant. On the difference between print and digital: The online or electronic experience is not conducive to serious reading of the kind THE OXFORD AMERICAN strives to offer. On his most pleasurable moment in the history of The Oxford American: I’d have to brood on it for days to single out one highlight from so many! On what keeps him up at night: Magazine-creation, done ambitiously, shouldn’t be sleep-inducing…to readers or editors…. Samir Husni: It is rare in the magazine business for one magazine to attack another magazine in public. Why now and why did you decide to break your “print silence” after 5 years of the launch of Garden & Gun? Marc Smirnoff: “Attack”? Gee, I just thought it was a simple, but honest, critical analysis. But let’s use your term. There have been numerous such attacks in the history of magazines, and the writers who have attacked before me—like H.L. Mencken, Elizabeth Hardwick, Dwight Macdonald, or A.J. Liebling, to name just some—did so with lasting meaning. In any case, I am sure you’ve noticed that magazines attack A LOT OF OTHER THINGS all the time. Since you don’t seem to have a problem with that, the implication is that you just don’t like media-on-media attacks. What the BLEEP, Samir? We in the media shouldn’t act like we are members of a Good Ole Boys Club; we shouldn’t just dish it out to strangers. I’ll also note that, from the start, you, Mister Magazine, have gone on record in calling G&G “great.” That is critical analysis. The same thing that I did. The only difference is that my critical analysis of G&G is negative and yours is positive. SH: Some may say it is the “unsouthern thing” to do to air your dirty laundry on the pages of the magazine. How does your recent editorial help the cause of The Oxford American? MS: The matter of Southern magazines, and how they examine or treat the South, is something that I care about and think about. I’m fine with you disagreeing with my assessment, but you seem to be bothered by the very act of my speaking up! In the piece itself, I go into detail about why I finally chose to write about G&G, so I won’t repeat myself here. [Those in your audience who wish to see the piece for themselves can go to: http://oxfordamerican.org/articles/2012/feb/23/gg-me-buccellati-silver-spoon/ ] The short version is that I would not have written a substantive critique of GARDEN & GUN if somebody else had beaten me to it. But nobody did. Until now, all that existed in regard to critical analysis of G&G was vacuous praise (and, from G&G itself, vacuous self-praise). Hype for a superficial magazine intent on dumbing down (and commodifying) a subject that I love was, finally, more than I could be silent about. Here are some of GARDEN & GUN’s flaws: They have a weird position on race (that’s me being kind of nice, actually). They promote a vulgar and aggressive materialism. They worship at the veranda of The Old South Plantation Myth. All that, and still they claim to be the “Soul of the South”; still they claim to speak for everyone. THE OXFORD AMERICAN has flaws (by God, we do! ), but they are different from GARDEN & GUN’s flaws—and I don’t mind saying so in print. As far as whether the publishing of my editorial has helped the cause of THE OXFORD AMERICAN, all I can say is that I am convinced that our readership expects us to try to be honest and insightful. Why don’t YOU tell me how such an approach hurts the cause of THE OXFORD AMERICAN? SH: The Oxford American has been the magazine with so many “near-death situations.” Twenty years later you are still at the helm of the magazine you’ve created. What is the secret of your survival? What is the secret of the magazine’s survival? MS: Obviously, we want profitability. But first—and always first—THE OXFORD AMERICAN aims to forge true, deep connections with its readers. I like to think our readers respect that we don’t put moneymaking first. I hope they find that refreshing. Another reason that THE OA keeps on going is that we fill a true void. We aren’t copying anybody; we aren’t redundant. We exist because the South—the American region that has produced, and produces, this country’s greatest writers—needs to have at least one ambitious magazine springing from its depths. For a long time, whenever a good Southern writer wanted to appear in an ambitious magazine, she or he had to reach out or genuflect to New York magazines. We want to have a role in changing that pattern and keeping some of the action in-house. SH: With an industry so engaged in digital, what do you think is the future of print in a digital age? MS: The online or electronic experience is not conducive to serious reading of the kind THE OXFORD AMERICAN strives to offer. To paraphrase Harold Bloom, serious reading allows us to create a deeper relationship with ourselves. And the online experience, with all its chattering and blipping, and pushy, pulsating neon advertisements, is not friendly to the kind of prolonged, profound soul-exploration that serious reading provokes. That’s why people, when they find long and intellectually engaging articles online, often print them out. (The Internet is best suited for quick-hit reading.) One of these days, there will be an electronic invention that will completely duplicate the quiet, tactile, seemingly unbeatable technology of print-on-paper, but until that invention manifests itself, hard-copy magazines will have a place—for some of us, for enough of us. The majority, though, will probably give up on paper. With that group, we are as doomed as dinosaurs, Samir. Until then, though, I say: Viven los dinosaurs! SH: What is the biggest hurdle facing The Oxford American today? MS: We can best serve our contributors, and best address our money issues, by attracting more readers, more subscribers. As a poor nonprofit, we are often stifled by a lack of money. We’d love to have more staffers (and pay them better), bigger editorial budgets, BIG marketing budgets, paid interns, etc. Being poor increases the size of the hurdles, yes, but such hurdles just make our hard heads harder. SH: What has been the most pleasurable moment in the history of The Oxford American? MS: Wow. Very nice question, but I’d have to brood on it for days to single out one highlight from so many! Let’s keep it hush, but magazine editors have the most rewarding, enjoyable gig in the world. SH: What keeps Marc Smirnoff up at night? MS: William Faulkner once uttered writing advice that also works as editing advice. He said: “Be better than yourself.” The problem is that if you follow his (profound) decree, restless nights will dog you. On the other hand, hell, magazine-creation, done ambitiously, shouldn’t be sleep-inducing…to readers or editors…. I actually agree … The Oxford American is superb, and G&G is pure drivel. 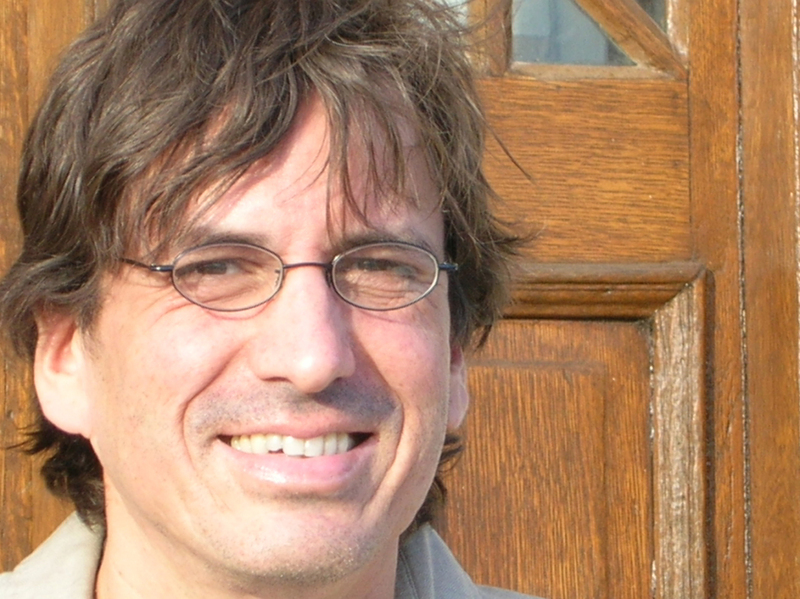 But – Marc’s tirade isn’t a critique, it’s a bitchy blog rant. Which, you know is fine. But since The Oxford American is a literary magazine, perhaps he should have written a more formal critical analysis, an actual essay. A well written essay. Then maybe it wouldn’t be seen as “rude.” Also – it would be a better advertisement for his mag. Which is one of my faves. As a former supporter of OA, I’ve gone on record as unwilling to write any more checks till Mr. Smirnoff steps down as editor. (Hi, Warwick!) What he fails to realize is that all mags (print or otherwise) have an institutional arc, a developmental trajectory, and it’s way past time for him to step off this one. It’s embarrassing that he is allowed a seemingly unlimited number of pages with which to indulge his inner narcissistic child. He birthed the OA, but he’s also driven it near to death more than once. Time to move on, sir.